Welcome to The Licensing Shop, Inc. Founded in 2006, The Licensing Shop Inc. (TLS) is a brand licensing agency specializing in the strategic development of consumer product programs based on the trademarks and intellectual property for clients in the fashion, corporate, media and entertainment businesses. Led by principals Nancy and Steve Fowler, who each have over 25 years of experience in the licensing and entertainment businesses, TLS focuses on extending brands into licensed products creating new revenue streams for clients in addition to the incremental marketing benefits of reaching new consumers. Clients include CBS Consumer Products, Moose Toys, Cottage Life Media, Jeanne Beker, Lisa Ray, and Captain Canuck. The licensing program is planned to roll-out a year after the toy launch in the back-to-school window of 2019. Publishing, trading cards and board game categories will lead the way, followed by apparel, bags, stationery and accessories. NEWS: JILL K. COOK JOINS THE LICENSING SHOP INC.
TORONTO – April 25, 2018 – The Licensing Shop Inc. is pleased to announce that Jill K. Cook has joined the TLS team responsible for the retail business development of Moose Toys’ Shopkins™ and Pikmi Pops Surprise!™ licensing programs. Jill has an impressive background in licensing with an emphasis on children’s lifestyle and entertainment brands having been the Director of Retail Business Development at Sanrio and the Director of Retail Development at Mattel. Most recently Jill was the Vice President of Licensing for Fender Musical Instruments Corp.
LOS ANGELES, CA – April 19, 2018 – Moose Toys is pleased to announce new licensed products are now available at retail including Shopkins™ iconic PEZ Candy dispensers and a line of “Shopkins by Skechers” footwear at Skechers stores this Spring, followed by a special limited edition collection for “Back-to-School” 2018. 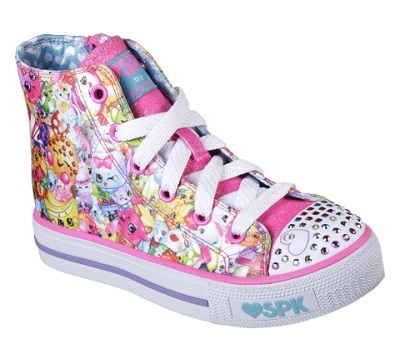 Additionally, Hybrid Apparel’s Shopkins “Unicorn” themed fashion collection is experiencing success with double-digit sell-through percentages. Due to its success, Moose is planning to extend the Shopkins Unicorn fashion theme with refreshed assets for licensees in time for back-to-school. Another exciting partnership due to launch this Summer, Pink Apron Group LLC will debut a touring Shopkins Treat Truck where fans can delight in sweet treats and exclusive merchandise. Finally, Moose is very excited to announce partnering with Punchbowl - the gold standard in online invitations. Together, they will launch a vibrant collection of Shopkins digital invitations for birthdays, holidays and special occasions later this year. Following the success of the Pikmi Pops Surprise!™ toy launch in August 2017, Moose Toys is excited to announce the signing of fourteen (14) Pikmi Pops licensees in key categories with some readying for launch as soon as this Summer! Pikmi Pops is the hit new range of sweet scented miniature plushies that come with elements of surprises, packaged inside an iconic lollipop vessel! The Pikmi plushies come in a variety of sweet scents including chocolate, bubblegum, watermelon and more! Currently season 2 is in stores and Pikmi Pops was named a top new growth property¹ in early 2018. Season 3 launches this August and by year’s end, there will be over 150 Pikmi Pops characters to collect! LOS ANGELES, CA – December 14, 2017 – Moose Toys is pleased to announce a partnership with McDonald’s Restaurants featuring Moose Toys’ Happy Places Shopkins toy brand. This Happy Meal promotion will launch in US restaurants starting January 2 supported by a substantial marketing campaign. The deal was brokered by The Licensing Shop Inc. Happy Places Shopkins launched in 2016 and is a successful brand extension from the Shopkins franchise. 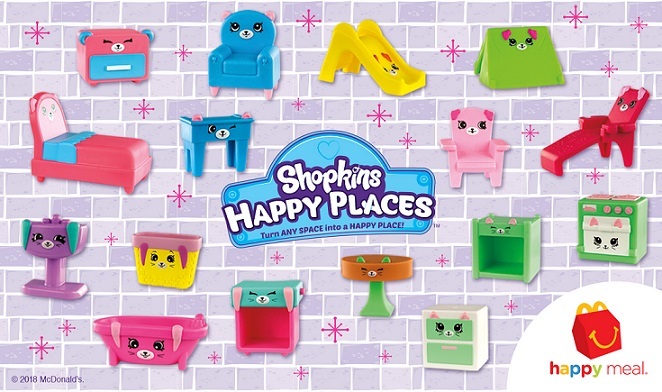 Happy Places Shopkins is where the Lil’ Shoppies head home (from a busy day shopping in Shopville) to Happyville to make their own Happy Places. 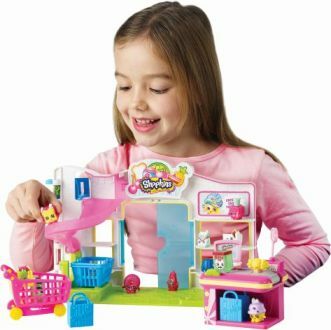 Children enjoy using the collectible toys to create their own ‘Happy Place’ with the Lil’ Shoppies and their cute Petkins friends. The McDonald’s Happy Meal tie-in will emulate the Happy Places Shopkins creative play with forty-eight collectible Petkins which children can use to decorate four rooms: Bathing Bunny Bathroom, Kitty Kitchen, Puppy Patio and Dreamy Bear Bedroom. Nancy Fowler honoured as one of 19 women that have greatly influenced the business of licensing. December 14, 2017 – License Global has released their December issue which features "The Influentials". This inaugural honour recongizes those that have impacted licensing in a marked way. 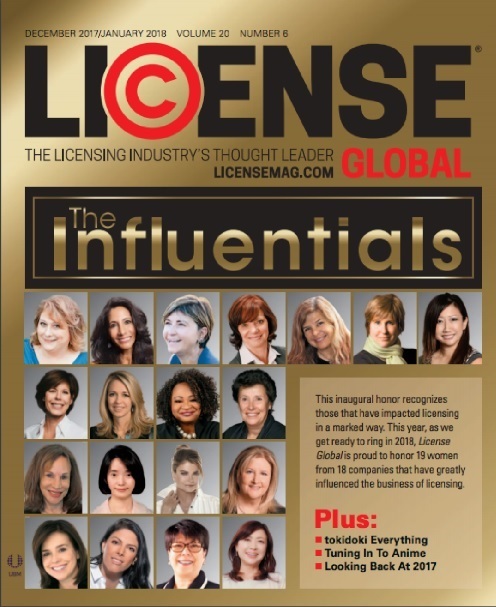 As we get ready to ring in 2018, License Global is proud to honour 19 women from 18 companies that have greatly influenced the business of licensing. Nancy Fowler, co-founder and principal of The Licensing Shop Inc. is honoured to be included in this list of highly successful and influential women. NEWS: CUTIE CARS™ SHIFTS SHOPKINS™ INTO NEW GEAR FOR 2018! LOS ANGELES, CA – November 27, 2017 – Moose Toys disrupted the toy industry with the global phenomenon Shopkins and through these pintsized characters, reinvigorated the way children play. Now, the team at Moose are demonstrating that die cast vehicles are a hit with girls as well as boys! Cutie Cars are die cast vehicles packed with personality, and are the new toy line coming out of the Shopkins franchise. With their launch they have created a totally new segment in the girls' aisle. Moose Toys will launch a new season of Cutie Cars toys with all-new models early in 2018 supported with a substantial marketing campaign. More webisodes are planned to launch in the Spring of 2018 to the support the new line. Moose Toys also announces the launch of a Cutie Cars licensing program. The Licensing Shop Inc. will assist with this effort for the US and Canadian markets. First licensees to announce include Scholastic (books launching this month with additional titles throughout 2018), Goliath Games (board games launching Spring ’18) and Mighty Kingdom (mobile app launching in December 2018). Several other licensees will be announced in January. The co-branded SPK by SKECHERS footwear collection will be available in young girls’ sizes at SKECHERS retail stores and online at www.skechers.com. 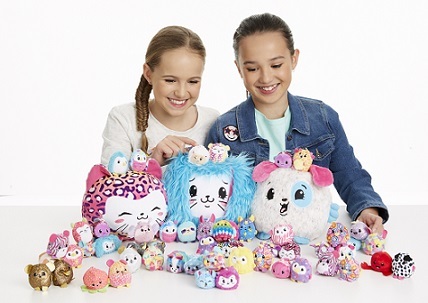 Products in the line will be designed, developed and marketed through a multi-year licensing partnership between SKECHERS and Moose Toys that was brokered by The Licensing Shop Inc. Exclusive Shopkins Items Delivered Right to Your Door! New York, NY - May 8, 2017-- Today, CultureFly, a pop culture apparel, accessories, and collectible box company, announced the launch of Shopkins Direct. 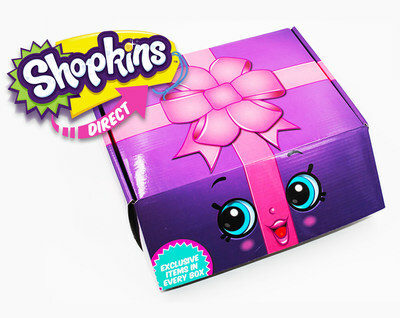 Shopkins Direct is a licensed subscription box service that ships four times a year. Each box is conveniently packed and delivered to our fans with exclusive, limited edition Shopkins apparel, accessories, housewares, and collectibles that are not available at retail. For more information, please visit www.shopkinsdirect.com or follow Shopkins Direct on Facebook (www.facebook.com/shopkinsdirect) and Instagram (@shopkinsdirect). The deal was brokered by The Licensing Shop Inc.
Los Angeles, CA - April 18, 2017-- Shopkins Live! (www.shopkinsliveontour.com), the first live theatrical production based on the phenomenally successful Shopkins toy brand will embark on a national tour of over 75 U.S. cities, it was jointly announced today by Gilles Paquin, President and CEO of Koba Entertainment, and Nicole Hardiman, Senior Licensing Manager at Moose Toys. Shopkins Live! will premiere in Buffalo, New York, on Thursday, September 14, 2017, with tickets going on sale Friday, April 28. Based on America’s #1 toy brand, Youtube sensation and international toy phenomenon created in Australia by Moose Toys, Shopkins Live! will feature The Shoppies and Shopkins characters taking the stage with an all new storyline, original pop music and video highlights as ‘Jessicake’, ‘Bubbleisha’, ‘Peppa-Mint’ and friends prepare for Shopville’s annual “Funtastic Food and Fashion Fair”. “We are thrilled to have Koba Entertainment presenting our first-ever live theatrical show for Shopkins,” added Hardiman. “This will be a fantastic event featuring the Shopkins and Shoppies in an amazing adventure that our North American fans can experience.” Since its launch in 2014, the Shopkins brand continues to be a hot ticket item for children worldwide. Shoppies dolls consistently rank as the #1 kids toy in the U.S.; the first-ever Shopkins movie, Shopkins Chef Club, was released last year by Universal Pictures Home Entertainment; and numerous dedicated apps continue to expand the brand’s ever-growing world. Shopkins Live! will run for approximately 90 minutes, with one 15-minute intermission. For more information on Shopkins Live! visit www.shopkinsliveontour.com and sign-up to be the first to hear about the pre-sale offer, on-sale dates and North American tour dates. The Shopkins Live! U.S. tour is represented by APA. The deal was brokered by The Licensing Shop Inc.
Los Angeles, CA - March 22, 2017-- MOOSE TOYS is thrilled to announce the signing of a license agreement with Build-A-Bear Workshop, the premiere interactive destination for creating personalized furry friends and a perfect fit with the Shopkins brand. 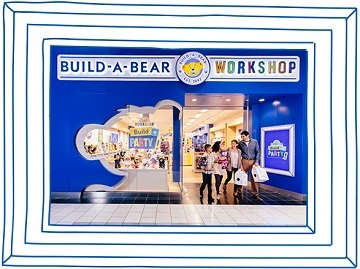 The global agreement, brokered by The Licensing Shop Inc., covers Build-A-Bear Workshop locations, including those in the United States, Canada, Denmark, Ireland, Puerto Rico, the United Kingdom and China, and franchise stores in Africa, Asia, Australia, Europe, Mexico and the Middle East. Shopkins and Build-A-Bear Workshop are developing an assortment of plush and accessories that will launch at Build-A-Bear Workshop stores and at buildabear.com in late summer 2017. Shopkins recently won the 2016 LIMA Award of Excellence for ‘Best Toy Character License,’ as the licensed merchandise program has generated more than $1 billion in retail sales since inception. Los Angeles, CA - December22, 2016-- MOOSE TOYS is thrilled to announce the signing of a license agreement with KIDdesigns and their eKids brand. eKids will bring the magic of Shopkins’ small, collectible toys to innovative, interactive youth electronics products later this year. 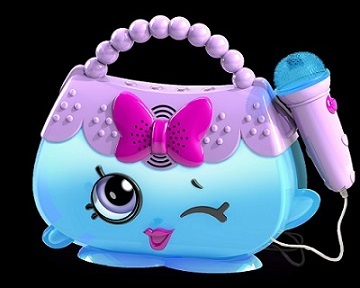 They have incorporated many of Shopkins’ adorable characters into a variety of fun products including volume limiting headphones, karaoke machine with microphone, walkie-talkies, singalong microphone and an adorable purse-shaped boom box. The agreement, brokered by The Licensing Shop Inc., covers North America, the United Kingdom, Benelux, the Nordics, Iberia, Italy, Germany, France, and Eastern Europe. Since its 2014 launch, Shopkins has become a global phenomenon with each season offering more than 100 different Shopkins characters to collect, complemented by a line of Shoppies dolls. Its animated webisode series has amassed nearly 180 million views on YouTube and the Shopkins 12-Pack was the number one selling toy in the U.S. in 2015, according to The NPD Group. Shopkins remains the top girls’ toy and license in major categories such as apparel, room décor, sleepwear, and others. Los Angeles, CA—November 1, 2016-- MOOSE TOYS is thrilled to announce the official launch of Shopkins feature shops at Toys“R”Us®. The shops range in size, spanning up to 16-feet long, and are now open at all Toys“R”Us stores nationwide. These front-of-store boutiques feature a wide assortment of sought-after new, coveted Shopkins products including: toys, backpacks, bedding, jewelry, bikes and helmets, books, consumer electronics, stationery products, confectionery, apparel and room décor, along with the latest DVD movie, available October 25 from Universal Home Entertainment. Since its 2014 launch, Shopkins has become a global phenomenon with each season offering more than 100 different Shopkins characters to collect, complemented by a line of Shoppies dolls. Its animated webisode series has amassed nearly 180 million views on YouTube and the Shopkins 12-Pack was the number one selling toy in the U.S. in 2015, according to The NPD Group. Shopkins recently won the 2016 LIMA Award of Excellence for ‘Best Toy Character License,’ as the licensed merchandise program has generated more than $1 billion in retail sales since inception. Shopkins Tall Mall was also named as one of the hottest toys on the Toys“R”Us Hot Toy List. Toronto, CANADA – August 24, 2016 – The Toronto International Film Festival's fall slate will kick off with a cinematic exploration of 50 Years of Star Trek, set to run from September 8 to December 30 at TIFF Bell Lightbox. The programming, presented with CBS Consumer Products, and brokered by The Licensing Shop Inc., will celebrate the 50th anniversary of the franchise with screenings and episode marathons, as well as Trek Talks, an inventive series of conversations that will explore Star Trek's influence on our culture. 50 Years of Star Trek — September 8 to December 30 Beginning with a screening of the Star Trek: The Original Series episode "The Man Trap" on Festival Street (September 8), 50 years to the day the episode debuted on television, TIFF will show another 15+ screenings of Trek films and television episodes, as well as additional screenings of sci-fi films influenced by the series. Working with CBS Consumer Products and the Canadian Space Agency (CSA), TIFF will present Trek Talks, roundtable discussions and keynote presentations that consider Trek's cultural impact in the areas of television, film, space, technology, education, social justice and politics. Fans will have the opportunity to (re)discover all of the franchise's major motion pictures, including the original six features, Star Trek: The Next Generation tetralogy and the latest J.J. Abrams-produced additions to the canon. Introductions by two special guests are also in the works: Star Trek: The Motion Picture will be introduced by Douglas Trumbull, the special effects producer for the film; and Star Trek II: The Wrath of Khan, will be introduced by the director of the film, Nicholas Meyer. From October 12 to November 16, Trek Talks will consider the values and ideals at the core of Star Trek — those of progress, tolerance, technological innovation and social equity — to once again inspire contemporary audiences to seek hope in a world that can, at times, seem dark and chaotic. Trek Talks will include a keynote presentation on Star Trek and space from Canadian astronaut Jeremy Hansen on October 12; a presentation from theoretical physicist Lawrence Krauss on the ways in which Star Trek has anticipated, influenced and inspired new technologies on November 2. Las Vegas, NEVADA – June 23, 2016 – Moose Toys announces that SHOPKINS won the 2016 International Licensing Industry Merchandisers' Association (LIMA) Licensing Excellence Award for best character/toy brand. 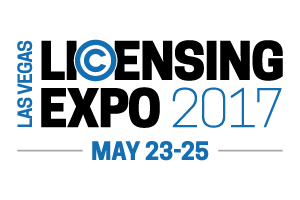 LIMA is the leading trade organization for the global licensing industry. 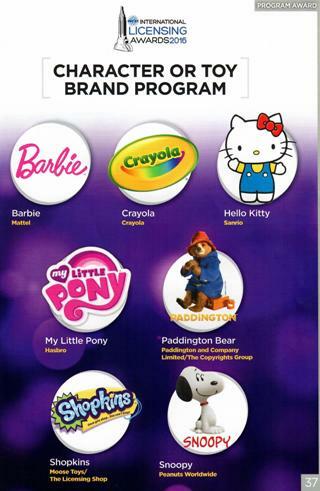 Shopkins was nominated alongside classic brands such as Hello Kitty, My Little Pony, Barbie, Crayola, Snoopy and Paddington Bear. Melbourne, AUSTRALIA – January 13, 2016 – Moose Toys announces 8 new Shopkins™ licensees for North America with 2015 Licensed Merchandise Retail Sales Topping $100 million. In 2015, US and Canadian retail sales of Shopkins licensed products is estimated to have reached over $100 million, with licensees projecting sales will more than double in 2016. Moose Toys have sold over 207M+ Shopkins characters worldwide. Shopkins was #1 in the small doll category, #2 in the super doll category and #1 item across all toys during certain periods over the year. The Shopkins mobile app became the #1 kids’ 6-8 app when it debuted and now has over 3 million downloads (IOS). Most recently, a one-of-a-kind Gemma Stone Shopkins character made from carefully crafted glass sold for $21,500 in a charity auction. Shopkins is a finalist for 2016 Property of the Year by the Toy Industry Foundation, and the Shopkins Scoops Ice Cream Truck is a finalist for 2016 Girl Toy of the Year. Indeed, the best is yet to come in 2016 for the Shopkins brand! TORONTO – November 12, 2015 – The Licensing Shop Inc. is excited to announce new licensees joining the Cottage Life licensed merchandise program. The new Cottage Life products include a range of home and personal care products from high quality, Canadian manufacturers sold at specialty, department stores and groceries across the country. 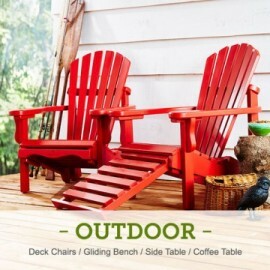 •	Home decor products including glassware, serving ware and gardening accessories from Abbott of England, based in Ontario. •	Natural home cleaning products including laundry detergent, dish washing liquid, and bathroom cleanser from Bebbington Industries, based in Nova Scotia. •	Natural bath soaps and body wash products from Pearl and Daisy Natural Soap Company, from Nova Scotia. •	Orange Crate Food Company, an existing licensee, will be expanding their product line to include items such as breakfast cereals, pancake mixes, hot chocolate. They join RuffSawn Furniture, Country Home Candle, Brunelli, and Dundalk Leisure Craft as Cottage Life continues to move forward with their consumer product lines. Melbourne, AUSTRALIA – April 24, 2015 – Moose Toys announces 16 additional licensees joining Shopkins’ licensed merchandise program for the US and Canadian market bringing the total licensee count to 25. “She is an extremely unique individual with a dynamic personality and multiple talents” adds Wagstaff. In early 2015, Lisa Ray Worldwide entered into an exclusive partnership with The Licensing Shop Inc. (TLS), a brand licensing agency specializing in the strategic development of licensed consumer product programs based on trademarks and intellectual property for clients in the fashion, media and entertainment businesses. TLS has significant experience licensing in a multitude of consumer product categories including health & beauty, home décor, food and beverage, fitness, fashion and accessories amongst others. 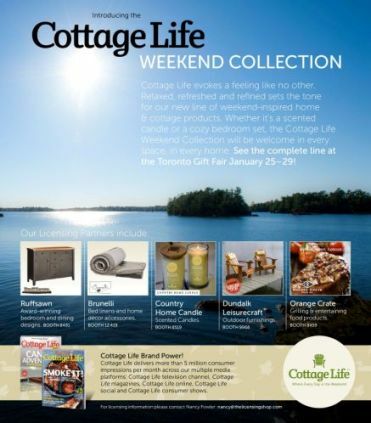 Toronto, CANADA - March 20, 2015 – For the past year, Cottage Life and The Licensing Shop Inc. have been working with local artisans, designers, chefs and craftsmen to create a line of casual and comfortable cottage products that embraces all we love about life at the lake. From our easy-to-assemble deck chairs, to our one-of-a-kind scented candles, the Cottage Life Weekend Collection sets the stage for perfect cottage weekends, every weekend. Our custom-designed, locally made Cottage Life "Classic" and "Relaxer" lounge chairs set a new standard for an old favourite. Locally made with premium Western Red Cedar, both chairs come in four easy to assemble pieces. Our sturdy accent tables and smooth gliding bench have the best in weekend relaxation in mind. Available in unfinished, clear stain or sumac red. 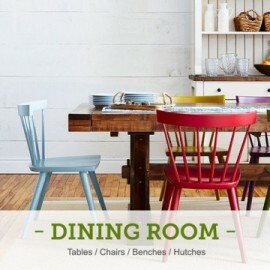 One look at the Cottage Life dining sets and you can only imagine the enjoyable moments to come. Hand crafted from stunning wormy maple and available in three distinct styles, the Cottage Life dining sets are available with custom-coloured chairs, matching benches and stylish hutches and drawers. Let the memory making begin! 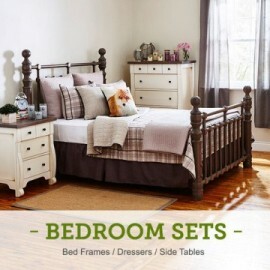 The Cottage Life bedroom sets are so stunning, you'll be eager to call it a night, every night. Available in three distinct styles and several unique finishes, our bedroom sets have coordinated nightstands and dressers with high-quality touches including solid wood drawer boxes with soft close undermounted hardware. Each piece is custom made from solid kiln-dried hardwood. 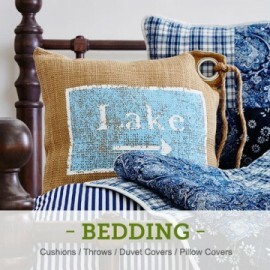 Designed in Canada, our Cabin and Lakeside bedding ensembles are wonderfully soft, comfortable and especially eye-catching. Made with 100% durable cotton, you'll be delighted to end your day cozied in style and comfort. Choose from various sized quilts, throws and pillow covers. Add in our decorative fox cushion for a hint of your wild side! Sweet dreams. Warm up your home with our fragrant weekend-inspired Cottage Life candles. Enjoy 9 custom scents including Campfire, Cinnamon Stick, Evergreen Trail, Wild Berry, Dockside Lemonade, Cottage Kitchen, Northern Pine, Summer Rain and Maple Butter. Available in tall and short glass jars which feature rustic wooden engraved Cottage Life deck chair lids, tealights and scent squares. When it comes to grilling and entertaining, Cottage Life is always at the table. 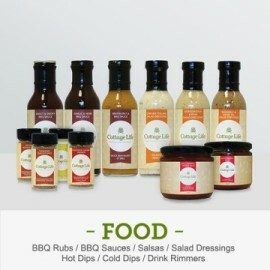 We'll help you get the party started with our new line of seasonings, dips, salsas, drink rimmers and salad dressings. All of our packaging features delicious recipes or helpful tips plus evocative cottage images to get you in the mood for great weekend entertaining...whatever day it is is. The spice rubs, hot & cold dip mixes and drink rimmers contain flavourful spices which are sourced from around the world. NEWS: TLS APPOINTED LICENSING AGENCY FOR NEW ANIMATED FEATURE FILM "LA GUERRE DES TUQUES - 3D"
Montreal, CANADA - February 15, 2015 – Today, Marie-Claude Beauchamp, President of CarpeDiem Film & TV Inc., announced the appointment of The Licensing Shop Inc. as the exclusive merchandising and licensing agency for their new children’s feature film La Guerre des Tuques-3D™. This new animated 3-D feature film is a remake of the 1984 classic, La Guerre des Tuques. The original film is part of Quebec’s cultural patrimonial history. It won the Canadian Golden Reel in 1984 for the biggest box office gross of the year and was sold into more than 125 countries. It has been broadcasted every year on Tele-Quebec on Christmas Eve and watched by more than 300,000 viewers annually. The film is scheduled to be released in December 2015. Toronto, CANADA - January 7, 2015 – The Licensing Shop Inc. (TLS) announces new consumer products’ licensees on behalf of Cottage Life Media which will be unveiled to retailers at the upcoming Toronto Gift Fair this January 25-29. The uniquely designed merchandise is a selection of furniture, home decor and food products that mixes country casual with contemporary comfort. Interior design expert Karl Lohnes consulted with the Cottage Life team to direct product development and identify trends to ensure the merchandise program combined a relaxed and refreshed feel in keeping with the brand’s long-standing history. The new Cottage Life product line will be produced and marketed by Canadian-based manufacturers and designers who have developed a coordinated and high-quality product line. The Cottage Life Weekend Collection hand-crafted by RuffSawn includes bedroom and dining room furniture in beautiful woods, stains, and styles. Brunelli has designed cozy bedding and soft line kitchen linens. Dundalk LeisureCraft has hand-crafted the “Ultimate” Cottage Life Outdoor Furniture Collection made from western red cedar and pine woods. 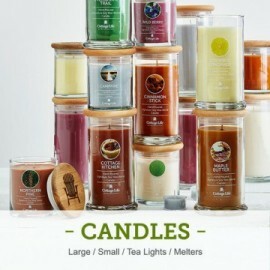 Country Home Candle has developed a beautiful Made-in-Canada collection of scented candles that will brighten every home. Premier Gifts and Orange Crate Foods have brought Cottage Life entertaining to life with a full line of grilling seasonings and sauces, hot and cold dips, salsas, and salad dressings. Cottage Life products will debut at The Toronto Gift Fair (January 25-29), Canada’s largest trade gift show, which attracts national retail buyers. The official consumer launch will kick off at the annual Spring Cottage Life Show (March 27-29) at the International Centre in Toronto. 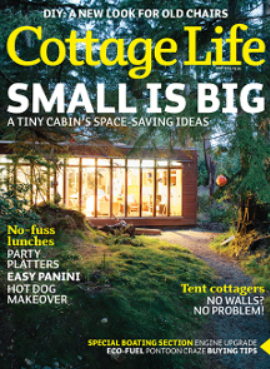 The Cottage Life brand has a 26-year history in Canada and was recently named the 2014 Magazine of the Year at the National Magazine Awards gala in Toronto. The brand launched a national TV Channel and Cottage Life West magazine in 2013 to expand the brand nationally. The new product line will be promoted extensively throughout the Cottage Life multi-media platforms, reaching more than 3.5 million Canadians monthly through the magazine, television channel, website, and three annual consumer shows in Toronto and Edmonton. 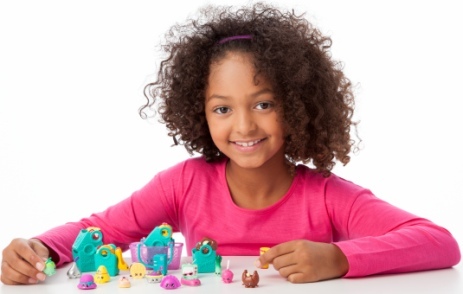 Melbourne, AUSTRALIA – December 04, 2014 – Moose Toys announces an impressive group of licensees joining Shopkins’ licensed merchandise program for the US and Canadian market. September 2, 2014, Los Angeles -- Today, Moose Toys announced the appointment of The Licensing Shop Inc. as their exclusive merchandising and licensing agent for their hit new girl toy product line Shopkins™ for the United States and Canada. Shopkins hit retail shelves in June instantly exceeding sales expectations. The results have been outstanding with product flying off shelves and selling out in stores nationwide in a matter of weeks and online in as little as 24 hours. As a result, retailers are scrambling to secure stock, with one major retailer doubling their orders. 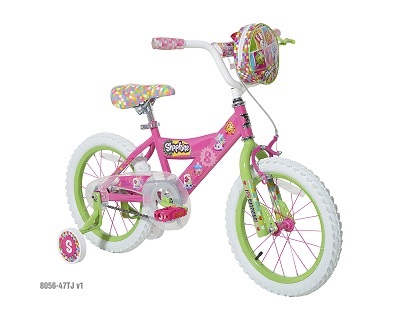 The Shopkins’ tag line of “once you shop, you can’t stop” seems to be translating into reality. Shopkins are the super cute, miniature, grocery-themed collectibles that are inspired by products from aisles in the grocery store and come with adorable shopping bags and baskets. With over 1 million views on Shopkins YouTube in less than 6 weeks and over 5 million views on videos posted by independent toy reviewers, Shopkins is shaping up to be Moose’s biggest brand ever. 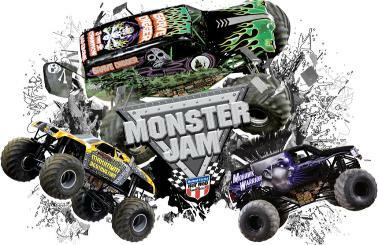 Boca Raton, FL (June 10, 2014) – The Bridge Direct, Inc. and Feld Entertainment, Inc.® announced today a multi-year global licensing agreement, which was brokered by The Licensing Shop, Inc., to develop and market Monster Jam® Construction Sets. As part of The Bridge Direct’s C3 Construction line, the Monster Jam building sets will let kids “Create, Construct and Customize” a play experience based on the high-energy family fun of Monster Jam stadium and arena-based live events. Monster Jam, the world’s largest and most popular touring monster truck property, entertains over four million fans across four continents and ten countries with more than 350 action-packed performances each year. Monster Jam performances are broadcast globally with television distribution in over 175 countries and feature 100 of the most popular Monster Jam trucks including El Toro Loco®, Grave Digger®, Max-DSM and Monster Mutt®. Targeted to young fans of the franchise, the Monster Jam construction line will center on the iconic Monster Jam trucks as highly-detailed buildable vehicles, with driver figures and stadium environments for extended play. The Licensing Shop will initially pursue suitable partners in the outdoor lifestyle, home décor, and food and entertaining product categories. 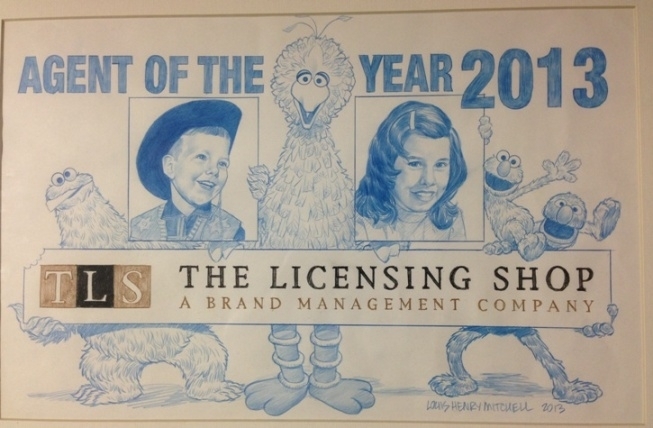 Las Vegas – June 18, 2013 – The Licensing Shop Inc. is very honoured to have been awarded Sesame Workshop's Agency of the Year award for 2013. As part of the award, a custom framed drawing was done by Sesame Workshop's Louis Henry Mitchell incorporating pictures of founders Steve and Nancy Fowler alongside Elmo, Cookie Monster Big Bird and Grover. Calgary-based beer importers Delancey Direct have unveiled a Star Trek themed brew just in time for Vulcan’s 100th birthday. 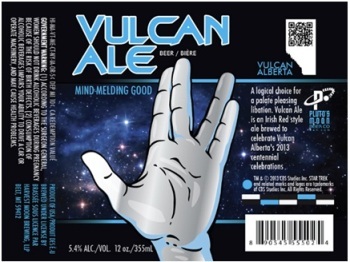 ‘Vulcan Ale’ is an ode to the small Alberta town’s connection to Mr. Spock and his homeworld of Vulcan in Star Trek. “I’d like to think with the Vulcan label we’re exporting a bit of Alberta outside of our borders,” said Paul Carreau, Delancey Direct representative. Carreau, a self-professed Trekkie who has donned a Klingon costume on more than one occasion, said they have big plans for the brew. Trekkies across Canada will soon be clinking glasses in honour of the ”Star Trek Capital of Canada.”The “high-quality, hand crafted Irish Red Ale” will be released May 1 and distributed Canada-wide. TORONTO (April 4, 2013) As Chatelaine gears up for a year of extraordinary expansion and 85th anniversary celebrations, the iconic lifestyle brand today unveils a new logo that reflects its “of-the-moment” personality and its growing multiplatform presence. Just like its audience, Chatelaine’s new Neutraface 2 font logo is modern and stylish with a good measure of substance. 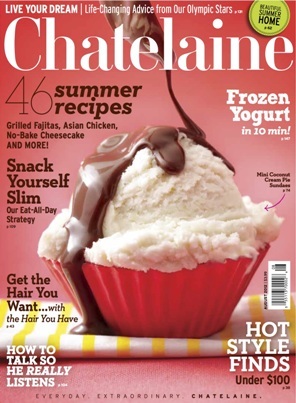 To make a big impact on the newsstand, Chatelaine’s creative team developed four different covers for its May issue, each of which shows off the logo with a different coloured background and different decor images. All four covers will be equally distributed on newsstand and alternately sent to subscribers, beginning this week. For Chatelaine French, the new logo will debut in the June issue. The new logo comes at a time when Chatelaine is planning to celebrate its 85th anniversary with a special issue in June and special events and giveaways all summer, leading up to a fall gala. TORONTO For the first time ever, Sesame Street will be coming to TIFF Bell Lightbox during the 16th annual TIFF Kids International Film Festival. TIFF Kids welcomes Sesame Workshop, the nonprofit educational organization behind Sesame Street, with a weekend of fun activities designed to entertain and educate. Taking place on April 20 and 21, families will be treated to special appearances throughout TIFF Bell Lightbox including a Sesame Street mascot meet-and-greet, a free screening of Elmo’s Alphabet Challenge and other activities throughout the Festival. As well, TIFF Kids Industry programming will be offering a “Master Class with Sesame Workshop: Inspiring the Global Child” and “pitch session” taking place April 18-19. TLS represents select properties for focused and strategic business management. We pride ourselves on representing licensing rights with integrity, professionalism and passion. A portion of our profits go to children's charities. Steve Fowler is co-founder and President of The Licensing Shop, Inc. He was one of the first agents to emerge as a licensing specialist within the mobile and digital entertainment space. His expertise covers traditional consumer products licensing to new media entertainment strategy. He was previously the President of video game publisher 3DO Europe Ltd., and Executive Vice-President of 3DO’s US operation. He was fundamental in building 3DO’s organization to solicit and support third party software developers and publishers and oversaw outbound and inbound licensing programs. Prior to 3DO, he was a business executive at several technology start-ups in Silicon Valley, all of which went public during his tenure. Nancy Fowler is co-founder and Executive Vice President of The Licensing Shop, Inc. 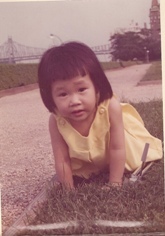 Previously she was the President of Worldwide Consumer Products for DIC Entertainment overseeing the successful relaunch of the Strawberry Shortcake franchise and McDonald's licensing programs. 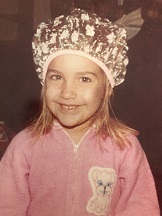 Prior to that, she held the position of Vice President of Worldwide Sales for Viacom Consumer Products (Paramount Pictures Corp.) based in Los Angeles and managed their global licensing programs such as Star Trek and South Park. Previous roles include General Manager of Viacom Consumer Products Canada and executive management positions at Alliance Atlantis and Sega of Canada. Mallory Van Laeken is Director of Brand Management responsible for product development and coordinating licensing initiatives for The Licensing Shop Inc. Mallory graduated with an Honours, Bachelor of Arts degree in Communications Studies from Wilfrid Laurier University in Waterloo, Ontario, as well as a Graduate Degree in Corporate Communications from Seneca College in Toronto, Ontario. Upon graduation, Mallory completed an internship at Peacebuilders International (Canada), a charitable organization where she executed numerous fundraising events, and created marketing and sponsorship strategies and materials to raise awareness and attract potential donors. Mallory was also a Consumer Engagement Coordinator at the sports marketing agency TrojanOne, where she sourced new business opportunities, and assisted in brand activations. Mallory is very active and enjoys skiing, water sports and volleyball. She also loves entertaining, travelling and spending time on her family farm. 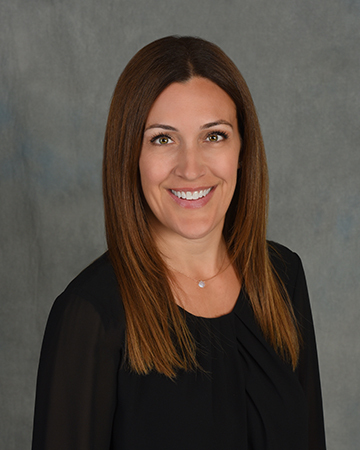 Jill Cook joined TLS as the Head of US Retail and is responsible for the business development of Moose Toys’ Shopkins™ and Pikmi Pop Surprise!™ licensing programs at retail. Jill has an impressive background in Licensing with an emphasis on children’s lifestyle and entertainment brands having been the Director of Retail Business Development at Sanrio and the Director of Retail Development at Mattel. In her previous roles, Jill strategically expanded those brands across various tiers of retail distribution with a particular focus on the fashion apparel and accessories categories. Most recently, Jill was the Vice President of Global Licensing for Fender Musical Instruments Corp. When she’s not visiting accounts, she loves spending time with her family and anything to do with the beach! Kunaal Jagtianey is an Associate Brand Manager responsible for assisting in product development and coordinating licensing initiatives for TLS. Kunaal holds diplomas in Creative Advertising from Seneca College and Graphic Design from Humber College. He has interned and worked at many Advertising Agencies in Toronto where he has designed ads and promotional material for global clients. He is extremely passionate about design and enjoys playing/watching sports in his free time. Teresa is TLS' administrative assistant. She has over 15 years of agency experience in NYC & Toronto working on the finance side of the business. She has worked with clients such as Bell Media, P&G, General Mills, McDonalds and Coca-Cola. Past experience also including working in the PR department of Rolling Stone magazine. James joined TLS in 2006 as Chief Play Officer (C.P.O.) and continues to make significant contributions to the company working around his hectic academic and lessons’ schedules. 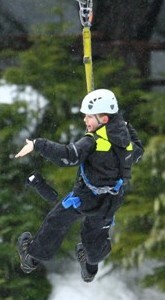 James’ chief responsibility is to advise senior management of new and upcoming trends bubbling up from the school yard. He actively participates in focus groups and surveillance tactics at strategically targeted play dates. James was particularly proud to be responsible for the first-ever school ban of “Trashies” anywhere in the world. James is a passionate environmentalist and prefers to commute by foot, scooter or bicycle. A thrill seeker, James recently zip-lined between mountains, over 700 year-old tree tops and a rushing river as he fought off attacking AT-ATs from the Dark Side. These are some of the brands that we currently represent. Select an image to learn more about the brand. Click one of the logos to the left to get a brief synopsis of these brands that we represent. WEB SITE CBS Broadcasting Inc.
STORY CBS Consumer Products, a unit of CBS Entertainment, manages worldwide licensing and merchandising for a diverse slate of television brands and series from CBS, CBS Paramount Network Television and CBS Television Distribution, as well as from the company's extensive library of titles. 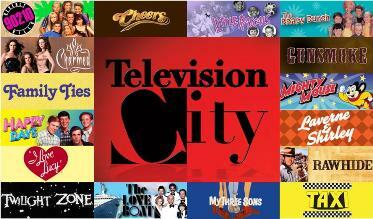 Additionally, the group oversees the CBS Retail Store and online sales of programming merchandise. TLS is tasked with building merchandising and licensing programs for CBS’s signature brands including "Star Trek", "America’s Next Top Model", "CSI" , "Under The Dome", "Dexter" and "NCIS" along with iconic TV series such as "Twilight Zone", "The Brady Bunch", "Cheers", and "I Love Lucy". TLS The Licensing Shop represents CBS Consumer Products in Canada for Merchandising, Licensing and Promotions. ©MMXV, CBS Broadcasting Inc. All Rights Reserved. STORY Forty years ago, Richard Comely and Ron Leishman created Captain Caunck, looking to fill a void in the comic book market as there had not been a Canadian superhero since the 1940's. 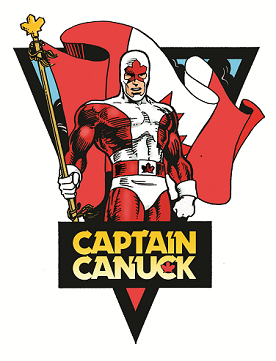 The original Captain Canuck was created in 1975. Part Captain America and part Flash Gordon, Captain Canuck was the protector of the future dystopia of 1993. Self-published by co-creator Richard Comely, the original series ran for 15 issues between 1978 and 1980 and featured art by George Freeman and Claude St. Aubin. STORY Cottage Life Media is a division of Blue Ant Media Partnership and has been the definitive source for weekend living entertainment since 1988. The company publishes Cottage Life, Cottage Life West, and Outdoor Canada and produces the annual Cottage Life consumer shows in Toronto and Edmonton. Cottage Life, a national television channel launched this past fall. Cottage Life Media brands reach more than 4.5 million Canadians every month. TLS TLS is tasked with helping to launch a licensed merchandise program under the Cottage Life brand. Currently pursuing suitable partners in the outdoor lifestyle, home decor, and food and entertaining product categories. ©2015, Blue Ant Media Partnership. All rights reserved. STORY Shopkins are the super cute, miniature, grocery and fashioned-themed collectibles sold with adorable shopping bags and baskets. With over 1 billion views on videos posted by independent toy reviewers, Shopkins is shaping up to be Moose’s biggest brand ever. Shopkins hit retail shelves in June 2014 instantly exceeding sales expectations and over 600 million Shopkins have shipped. The results have been outstanding with product flying off shelves and selling out in stores nationwide in a matter of weeks and online in as little as 24 hours. As a result, retailers are scrambling to secure stock, with some doubling their orders and flying product in to meet demand. The Shopkins’ tag line of “once you shop, you can’t stop” seems to be translating into reality. 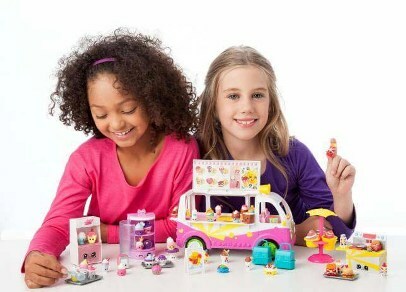 In addition to the brand's retail success, the Toy Industry Association of America (TIA) awarded the Shopkins Small Mart Playset the coveted 2015 Toy of the Year Award for Girls Toy of the Year and the Shopkins Scoops Ice Cream Truck for the 2016 Girl Toy of the Year. And the Shopkins licensing program was recoginzed by the Licensing Industry Merchandisers' Association as best character/toy brand in 2016. TLS TLS has licensed over 75 categories including publishing, games, apparel, plush, stationery, accessories, backpacks, candy, footwear, construction sets and back to school items for the USA and Canada. Shopkins is expected to reach $350mm of licensed merchandise in the USA in 2016. ©2013, Moose Toys. All rights reserved. STORY Born in Toronto, Jeanne Beker began her career in show business at the age of 16 and since then has never looked back. Jeanne Beker pioneered the groundbreaking and award-winning television newsmagazine The NewMusic. She was the host of Fashion Television for 27 years (seen in over 130 countries), was the Editor-in-Chief of FQ and SIR magazines, and a regularly featured columnist with The National Post , and The Globe and Mail. Fashion guru extraordinaire, Jeanne was a contributing editor for the Toronto Star and The Kit for four years. She has recently returned to The Globe and Mail as a featured Style columnist. Jeanne is a contributor to Flare magazine, a featured columnist with Metro and Toronto's Post City Magazine and also contributes to enRoute and Zoomer. In January 2008, Beker landed an exlusive interview with designer Valentino before he announced his retirement. The interview was turned into a biography special with later aired on the Fashion Television Channel. 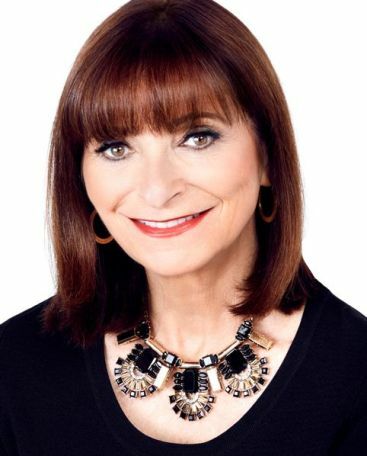 Jeanne was recently named Style Editor of The Shopping Channel and hosts a regular series for the channel entitled "Style Matters with Jeanne Beker". 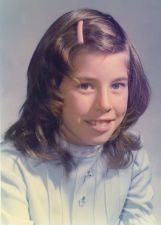 She is a five-time published author, a public speaker, a philanthropist and a proud Canadian! Jeanne is one of the most iconic and influential women in the fashion industry. TLS TLS is tasked with managing and launching licensed merchandise programs under the Jeanne Beker brand. Her fashion line includes "Edit by Jeanne Beker" at Hudson's Bay as well as product lines for shoes at The Shoe Company, jewelry and sunglasses. Currently pursuing suitable partners in the active wear, fashion accessories, hosiery/sleepwear, beauty/cosmetics, skincare, pet fashion, wardrobe organizers and reading glasses product categories. ©2015, Jeanne Beker. All rights reserved. STORY Cross-cultural phenomenon, Lisa Ray is an internationally acclaimed performer, philanthropist and star with a reputation for taking on challenging issue-oriented films. Raised in Canada by an Indian father and Polish mother, Ray was discovered while on vacation in India and went on to become not only one of the most successful cover models and celebrities in India but also an acclaimed, award-winning actress who starred in Canada’s Oscar nominated film, Water, amongst other prestigious credits. Named one of the ‘Ten most beautiful Indian women of the millenium’ by a Times of India poll, Ray cemented her profile as an iconic figure in India before leaving for drama school in London and opportunities around the world. TLS TLS is tasked with creating a lifestyle brand around Lisa Ray. ©2015, Lisa Ray. All rights reserved. TLS regulary attends and speaks at numerous events, conferences, seminars and trade shows. Mallory Van Laeken (TLS' Director of Brand Management), is hosting a Licensing University session "Managing an Overnight Sensation" focusing on Shopkins. 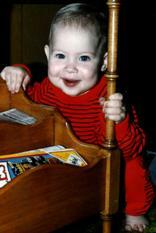 Nancy Fowler was on a panel of experts presenting "HOW TO EVALUTATE A CHILDREN'S PROPERTY". Steve Fowler presented a 2 hour master class entitled "INCOME PROPERTY: TAPPING INTO YOUR IP'S BACK-END POTENTIAL". The pressure for new concepts to succeed beyond TV has never been greater, but some concepts just won't make the leap. Want to know why? 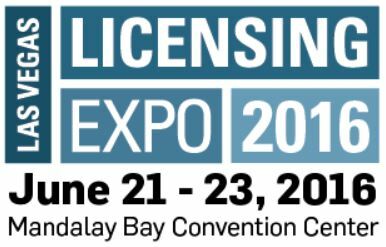 In this master class, an entertainment-focused consumer products expert will help you learn how to evaluate the licensing potential of kids properties, arming you with a handy list of do's and don'ts, and teaching you the process for fine-tuning an IP once you've unlocked its licensing & merchandising promise. Friday February 8, 2013. Licensing Executives Society (USA and Canada), Inc.
Nancy Fowler spoke at the annual Licensing Executives Society meeting panel on Monday, October 15, 2012. The presentation was entitled "ESTABLISHING A BRAND LICENSING STRATEGY- EXPLORE KEY ELEMENTS FOR DEVELOPING A BRAND LICENSING STRATEGY". This session will focus on the key areas that need to be identified and defined when developing a brand licensing strategy -Company objections: revenue generation, brand expansion, geographic expansion, adjacencies, new customers, reviving dormant brands; Inbound strategies vs outbound strategies; Assessing the right co-branding partners; Considerations of both licensees and licensors in brand selection. Steve Fowler presented "LICENSING 101" examining the fundamental principles of licensing reviewing the basic transaction from start to finish from the point-of-view of an owner/producter of content. Centennial College - "THE ROLE OF A LICENSING AGENT & LICENSING INDUSTRY PERSPECTIVES"
McGill University, Intellectual Property Institute of Canada - "THE BUSINESS OF MERCHANDISING"
Licensing Expo - "WORKING WITH AGENTS & CONSULTANTS"
Kidscreen Summit - "MENTOR MEETING: LICENSING EXPERTS, TREND FORENSICS WITH SILLYBANDZ"
Kidscreen Summit - "30 MINUTES WITH..."
Kidscreen Summit - "LICENSING 101"
Kidscreen Summit - "GETTING TO THE FUTURE - SELLING ONTO NEXT GEN SCREENS"
The Licensing Shop represents a diverse range of companies. 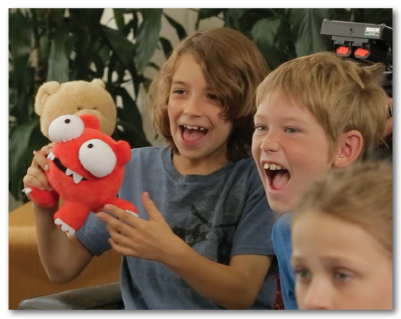 San Francisco, CA – December 4, 2013 – ZowPow Inc., a toy and technology company, and Get Set Games, a leading mobile gaming studio, announced today the launch of the "Redford Game Contoller", introducing the next genration of interactive toys for mobile. The license agreement was brokered by The Licensing Shop Inc. The game controller is in the shape of a plush toy resembling Redford, the main character of the hit iOS games Mega Jump and Mega Run. The plush toy contains ZowPow's sensor technology that lets the player control the in-game Redford character by moving the toy around. The $29.99 Redford Game Controller is now available for pre-order at zowpow.com and will ship in Spring 2014. "There has been a lot of excitement around interactive toys, especially with the release of Skylanders, Disney Infinity, and Angry Birds Telepods," said Jennifer Lu, co-founder of ZowPow. "However, the interaction in those games is limited to simply setting a plastic figurine on a platform. ZowPow is creating a more immersive experience, one that lets players use toys to actually control the character's movement in the game." 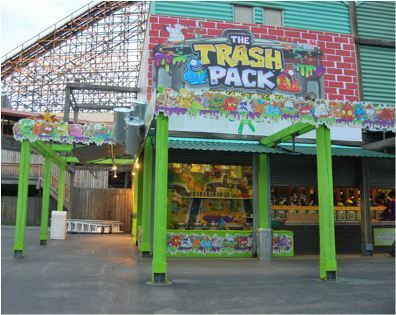 Montreal, CANADA – May 23, 2013 – Moose Toys’ Canadian distributor Imports Dragon today announced the opening of The Trash Pack Play House at LaRonde, a Six Flags amusement park located in Montreal, Canada. The play house opened last weekend and plans to remain on-site for a two year period. Inside the play house, children can play games to win various Trash Pack collectible figurines, vehicles and other related products and meet The Trash Pack’s mascot characters who will be available for fan interactions. Toronto, CANADA – April 29, 2013 – Get Set Games Inc. announces it will debut their proprietary Mega Jump™ and Mega Run™ brands along with their star character Redford™ at the 2013 Licensing Expo. Within 2 years these games hit 50 million downloads and were #1 on game app charts in over 30 countries. A global phenomenon, these games are most popularly played in the United States, Germany, China, France, Canada, the United Kingdom, South Korea and Australia amongst others. The Mega games tell the story of protagonist REDFORD, a small red monster with huge shiny eyes and a toothy grin, who spends his time trying to save his brother and sister from his nasty King Uncle and making his way back to his home planet. He has become the break-out star amongst the many fun characters found within the Mega games. Get Set Games will be looking for both licensing and entertainment partners to bring Redford and his friends to life outside of their game world. Los Angeles, CALIFORNIA – April 25, 2013 – Moose Toys announces it will debut their proprietary new girl brand called The Zelfs at the 2013 Licensing Expo. Well known for their successes in the boys’ collectible aisles, such as the recent hit The Trash Pack, Moose Toys saw an opening for a strong girls’ small doll program which could offer a triple threat of collectability, fashion and hair play values. The Zelfs line will roll out this Fall with small, medium and large dolls featuring twelve key characters and play sets. Each character is uniquely identified by their ‘spiketacular’ hair and special power represented by a Zelfmark. Each Zelf comes with lots of haircessories including extensions, hairsie clips and hair brushes, which can be worn by The Zelf or Zelf’s little keepers! Chaser Zelfs will be included in the program to drive interest and excitement. The launch of the program will be supported with an impressive marketing campaign including TV advertising, a dedicated website, social media, webisodes, live events and public relations outreach. TORONTO (January 31, 2013) – ITV has become the broadcast home in the UK for the hit CGI/live action series Dino Dan, it was announced by Nat Abraham, President of Distribution for Breakthrough. ITV’s children’s channel, CITV, will air Dino Dan, marking the UK debut of the combined CGI/live action series aimed at 4-7 year-olds. Produced by celebrated Canadian animation studio Sinking Ship Entertainment and distributed worldwide by Breakthrough Entertainment, Dino Dan centers 10-year-old Dan Henderson whose every waking moment is taken up with dinosaurs, using his vivid imagination to bring them to life. Entertaining and educational, Dino Dan turns everyday situations into fun-filled dino adventures as his imagination brings photo-realistic, prehistoric creatures into normal life. Canada’s The Licensing Shop handles worldwide consumer product licensing for the series. 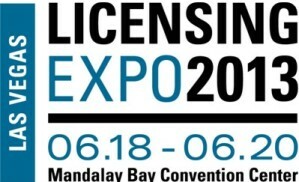 These licensees will join previously announced partners such as Activision (video games) Parragon Books Ltd. (master publishing), Pressman Toys (games, puzzles), Candyrific (candy, chocolates), Accessory Innovations (bags, lunch bags, and luggage), Mad Engine (T-shirts) and Rasta Imposta (Halloween costumes), Pioneer Balloons, Bulls I Toys (impulse novelty), SGI Apparel (sleepwear) and X-Treme Worldwide (apparel). The Trash Pack continues to experience immense success since the first series launched in 2011. Recently Moose Toys launched the 3rd series and the toy line is listed in all major retailers. Moose Toys has sold over 66 million Trashies worldwide and plans to expand the line in 2013 with new playsets including the new Ultimate Fighting Trashies (UFT) launching this Spring, new trading cards and of course the 4th series of The Trash Pack collectible toys later in the year. Toronto, CANADA – January 14, 2013 – 9 Story Entertainment and Scholastic announce the signing of a publishing deal for the hit animated children’s comedy series Almost Naked Animals. The deal was brokered by The Licensing Shop. Scholastic will publish comic readers, joke books, chapter books, e-books and digital interactive story books featuring the quirky characters and their funny escapades for the US, Canada and Mexico in English and Spanish. The English chapter book and joke book will launch January 2013 in the US and Canada. 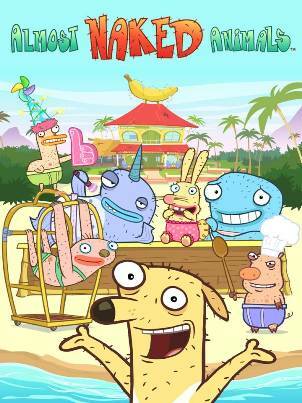 Chosen as one of People Magazine’s top children’s shows to watch, Almost Naked Animals is a joyously irreverent animated comedy series, featuring an oddly lovable assortment of free-spirited animals in their underwear, who run a beach-front hotel like kids at a summer camp – doing their best to make each day more fun than the last. The series is based on the quirky designs of Noah Z. Jones. “We are thrilled to welcome these ‘almost naked animals’ to our list. 9 Story has created a brand that is chock full of humor, fun and friendship. It’s fantastic storytelling and sure to resonate with kids across multiple mediums,” said Gayley Avery, Director of Licensed Publishing, Scholastic Trade. •	Chatelaine -- Canada’s leading women’s media brand makes the everyday extraordinary for more than 4 million women each month by bringing together the very best of style, home, food, health and real life. •	Today’s Parent – As Canada’s favourite source of parenting information, Today’s Parent delivers information, ideas, activities and more to an engaged community of close to 1.7 million parents. •	FLARE – For more than 30 years, FLARE has been Canada’s fashion authority and reaches more than 1.4 million style-minded readers. •	LOULOU – Packed with expert advice and celebrity styles, LOULOU delivers the hottest fashion, beauty and lifestyle buys on the Canadian market to its audience of more than 1 million alpha-shoppers. Toronto, CANADA – November 12, 2012 – The Licensing Shop Inc. announced today the appointment of three new sub-agents to represent the hit TV series Dino Dan in addition to new international license agreements. The new sub-agents join a growing list of Dino Dan global representatives which include Vega Brands (Brazil), Team Licensing (Germany and Belgium) and Stella Projects (Australia and New Zealand). These licensees join existing partners with Canadian rights including Basic Fun, Character Options, Titan Publications, Underground Toys and eOne for home entertainment. Leese Enterprises International is Canada’s leading marketer and licensee for candy and chocolate novelties with brands such as Monster Jam, Barbie, Angry Birds and M&Ms amongst others. The company imports, warehouses and distributes all its products across Canada from coast to coast. Tickadeeboo Entertainment is a premiere event production company providing live stage show appearances and ‘meet and greet’ events for the Canadian market. Founder Mark De Domenico is a veteran Canadian producer, writer and performer of live family entertainment, who has written and produced many award winning musicals and live shows and toured extensively across North America. His awards include a US Parents Choice Award, ECE Gold Pin Award, “Best Children’s Song Award Ontario” and a JUNO Award nomination for Best Children’s Album. 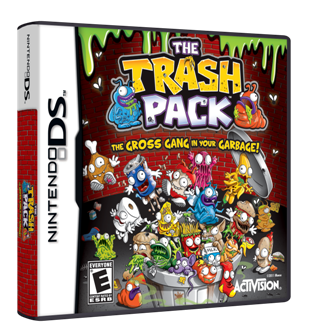 Activision’s upcoming video game, The Trash Pack, is planned to hit shelves on October 30 for the Nintendo 3DS and DS handheld systems. The Trash Pack lets gamers join their favorite Trashies for collectible fun in an assortment of grossest-with-the-mostest games! With 30 characters to play as and over 160 Trashies to collect, The Trash Pack video game will make gamers jump for junk! Super fun mini games will have players flinging their favorite Trashies through the air or getting behind the wheel of The Trash Pack garbage truck to catch falling waste and earn bonuses. With so many hidden Trashies to find and mini-games to play, young gamers will be enthralled with The Trash Pack. This game is rated E (Everyone) by the ESRB. After The Trash Pack’s first series achieved immense success when they sold out across the U.S. and were named the number one toy in the boys’ collectible category at Toys“R”Us during the 2011 holiday selling season, retail sales have now reached over $20 million after only one year in market! Series 2 launched with broader distribution this spring and Series 3 is set to launch for the holidays. Moose, who expects to sell more than 100 million Trash Pack units globally in 2012, is also set to launch their line of new The Trash Pack trading cards later this month. NEWS: GIGGLES N' HUGS PARTNERS WITH THE LICENSING SHOP INC.
LOS ANGELES, CA – August 8, 2012 – Giggles N’ Hugs, Inc. (OTCQB: GIGL), an upscale, children’s themed restaurant, has partnered with The Licensing Shop, Inc. (TLS) to develop and support the company’s brand merchandising strategy. A hotspot with Hollywood’s celebrity parents, Giggles N’ Hugs offers an upscale, family-friendly restaurant with a play area dedicated to children 10 years and younger. The restaurant has a high-quality menu made from fresh, organic foods that are enjoyed by both children and adults. Joey Parsi founded the company in 2007 after what he describes as a “void in the marketplace” for restaurants that encourage kids to be themselves while parents can enjoy a quality meal in a casual setting. Among its family-friendly vibe, Giggles N’ Hugs is also known for their own creation called “Mom’s Tricky Treat Sauce,” which hides pureed vegetables in kids’ favorite meals such as pizza and macaroni and cheese. In addition to backfilling the Southern California market, the company’s growth expectations include markets like Seattle, Vancouver and the East coast, and they one day envision a premier family-friendly concept of over 150 restaurants nationwide. The deals were brokered by The Licensing Shop Inc. These partners join a top-tier list of partners already on board such as Character Options (micro-building figurines and playsets), Basic Fun (plush), Underground Toys (talking plush), Freeze (t-shirts), Mad Dog Concepts (sleepwear), ABG Accessories (cold-weather accessories) and Ncircle Entertainment (DVDs). Named one of the top children’s shows to watch by People Magazine, Almost Naked Animals airs on Cartoon Network US, YTV Canada, CiTV UK, ABC Australia, Disney Channel Italy, Disney Channel India, Disney Channel Latin America, Disney Channel Spain and Portugal, NPO’s children’s channel Z@pp/Zeppelin in the Netherlands, Super RTL Germany, Canal+ Family and TéléTOON+. 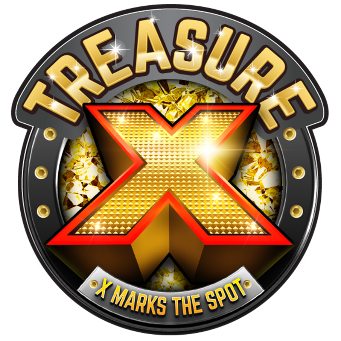 Cartoon Network, YTV, SUPER RTL, ABC Australia and Canal + Family have committed to the 3rd season which delivers this Fall 2012. TORONTO – May 31, 2012 – Breakthrough Entertainment and Sinking Ship Entertainment announced today the appointment of two new licensees for the successful Nick Jr. TV series’ Dino Dan: Fiesta Toys (www.fiestatoy.com) for plush toys and Hybrid Apparel (http://www.hybridtees.com/) for T-shirts. The deals were brokered by The Licensing Shop Inc. They join partners such as Ruckus Media (e-books), Ncircle Entertainment (DVDs), Pioneer Balloons and Geoworld (toys). Breakthrough Entertainment also announced the extension of their license agreement with Musictoday, a Live Nation company, for the official Dino Dan merchandise store, www.dinodan.shop.musictoday.com. The Official Dino Dan Store offers a wide range of Dino Dan branded merchandise including apparel, toys, DVDs and accessories. Dino Dan episodes are broadcast over 24 times weekly in the US market and have remained a top-rated series since its premiere in October 2010. The trailers alone for the series have become a YouTube.com hit with over 2.3 million views. Previously it was announced that Nick Jr. (US), TVO (Canada), and YOOPA (French Canada) have ordered a second season of the award-winning TV series, which will contain an additional 52 episodes (11 minutes each). The new season is currently in production. After The Trash Pack’s immense success last holiday season selling more than 10 million Trashies™ worldwide, the gross gang in your garbage is back in 2012 with barrels of disgusting fun for kids of all ages! In addition to launching Series 2 this spring, which features new orange bins, 168 new collectible Trashies, and new special edition Moldy Trashies to collect and trade, Moose is bringing children even more garbage-inspired products in 2012 by extending the brand to include licensed goods, including apparel, publishing, backpacks and more. The Trash Pack, a collection of icky characters named after all the delights one might find in their trash can, sold out across the U.S. and was the number one toy in the boys’ collectible category at Toys“R”Us during the 2011 holiday selling season. Moose expects to sell more than 100 million Trash Pack units globally in 2012. TORONTO April 25, 2012 – Today, The Licensing Shop Inc. (TLS) announced a roster of new licensees signed on to develop and market a line of Calgary Stampede™ licensed consumer products. 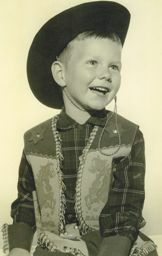 The Calgary Stampede™ will mark its 100th Centennial in July 2012 with many high-profile local, national and international marketing events and activities. In addition to these licensees procured by TLS, the Calgary Stampede™ has signed merchandising partnerships with Roots Canada, Smithbilt Hats and Justin Boots. Coinciding with the launch, the Calgary Stampede™ is introducing a new anti-counterfeiting program using holographic labels and hangtags to clearly identify officially licensed products. Melbourne, AUSTRALIA, February 2, 2012 – Today, Moose Toys announced the appointment of The Licensing Shop Inc. as their exclusive merchandising and licensing agent for their hit new product line The Trash Pack™ for the United States and Canada. The Trash Pack™ are squishy, collectable mini figures based on unappetizing items you might find in your own trash bin. Kids can collect all the Trashie characters such as Mouldy Milk, Rancid Roach and Putrid Pizza. Toronto, January 24, 2012 – Sinking Ship Entertainment's dinosaur sensation Dino Dan is roaring back for a second season with Nick Jr. (U.S.) and TVO (Canada) ordering an additional 52 x 11 minute episodes. A mass-market toy launch, second DVD and a Dino Dan themed app are set to launch in March 2012. Dino Dan's first mass-market toy launch features seven new dinosaur toys, available March 2012 at a national specialy retail chain across the United States and at specialty stores in Canada. Dino Dan toys have already proven to be immensely popular. 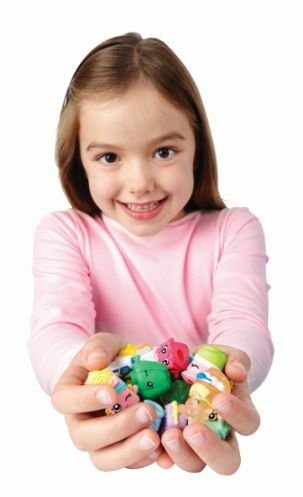 In December 2011, a specialty line of toys introduced on several U.S. and Canadian online retailers including DinoDan.com, nothingbutdinosaurs.com and tystoybox.com promptly sold out. Dino Dan's licensing is managed by The Licensing Shop Inc.
St. Petersburg, FLORIDA – January 24, 2012 – Known for whipping some of Hollywood's most sought-after bodies into the best shape of their lives, Harley Pasternak joins multichannel retailer HSN to launch the 5-Factor Success System, a diet and fitness program designed to deliver outstanding results for your busy life. The 5-Factor program involves eating 5 meals a day, each meal containing 5 key ingredients, plus 1 cheat day to indulge in the foods you love, guilt-free! A workout plan consisting of 25 minutes of exercise, 5 days a week all conveniently combined into an all-in-one kit. The 5-Factor Success System contains a Quick Start Guide, 5-Factor Diet Binder, a Diet & Fitness Journal, 5 X 25 minute Fitness DVDs, a Meal & Tips DVD and much more. Pasternak is also a co-host on ABC’s The Revolution, which is an uplifting, inspiring, and groundbreaking new daily show about health and lifestyle transformations co-hosted by a stellar team of experts including Tim Gunn, Ty Pennington among others who will help viewers with complete transformations in all areas of their lives. Toronto, CANADA – January 17, 2012 – 9 Story Entertainment’s announces its animated comedy series Almost Naked Animals has been re-upped by YTV (Canada) and Cartoon Network (U.S.) for a third season of 12 new episodes. 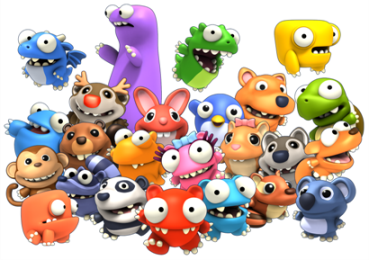 Almost Naked Animals (52x22), produced and distributed by 9 Story, launched on YTV Canada in January 2011, on CiTV UK in April and ABC Australia in May. The series had its US premiere on Cartoon Network in June, and was quickly picked as one of People Magazine’s top children’s shows to watch. The series also recently launched on Canal+ France, Disney Channel in Italy and Latin America, NPO in the Netherlands and Super RTL Germany. In November, Almost Naked Animals hit the #1 series on CiTV. The toy licensees will be debuting their prototypes at the upcoming Hong Kong, London, Nuremberg and New York Toy Fairs with a target launch at retail of Fall 2012. The Licensing Shop Inc. manages the brand worldwide. Toronto, CANADA – December 06, 2011 – 9 Story Entertainment’s children’s animated series Almost Naked Animals hit the #1 spot on UK’s CiTV for the week commencing 21st November 2011. The 16:45 airing on November 23rd drew 237k viewers amongst kids 4-16 years (12.2 % share of viewing) including 171,000 viewers amongst kids 4 -9 (16.2% share of viewing), making the programme the most watched afterschool children's program amongst kids aged 4-9 in its slot. Almost Naked Animals, produced and distributed by 9 Story, launched on YTV Canada in January, on CiTV in April and ABC Australia in May. The series had its US premiere on Cartoon Network in June, and was quickly picked as one of People Magazine’s top children’s shows to watch. The series also recently launched on Canal+ France and Super RTL Germany. “We couldn’t be happier with how well Almost Naked Animals is doing on CiTV amongst the terrific children’s programming choices in the UK,” said Natalie Osborne, EVP Business Development, 9 Story Entertainment. Almost Naked Animals is a joyously irreverent comedy series, featuring an oddly lovable assortment of free-spirited animals in their underwear, who run a beach-front hotel like kids at a summer camp – doing their best to make each day crazier than the last. Lead dog and hotel manager Howie, who has the attention span of an 11 year old in a video arcade, heads the dysfunctional ensemble cast. Lisle International Licensing represents UK licensing rights for the series, with the Licensing Shop Inc. managing the brand worldwide. 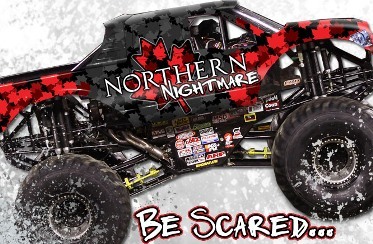 … A new Canadian themed monster truck is in town and its name is Northern NightmareSM. The monster truck made its worldwide debut today in Toronto when it was unveiled at Rogers Centre along with its driver, Calgary-native Cam McQueen. The introduction of Northern Nightmare marks the first time in the nearly 30-year history of Monster Jam®, that a dedicated Canuck monster truck has been added to the tour. The epic monster truck will roar across Canada in early 2012, stopping in six cities for the Maple Leaf Monster Jam Tour including London, Toronto, Vancouver, Edmonton, Winnipeg and Halifax. Northern Nightmare was selected through the Name the Canuck Monster Truck national online contest that invited Canadians to offer up their best homegrown names. Entries were judged on a variety of criteria including originality, creativity, capacity to evoke Canadian pride, and ability to capture and reflect the essence of the Monster Jam Canada brand. Cam McQueen’s Northern Nightmare is covered with red maple leaves on a black background and sports a Canadian flag. The truck weighs in at 10,000 lbs., is 11-ft. tall and 12 ft. wide, and sits atop 66-inch tall monster tires. TORONTO -- September 15, 2011 --- 9 Story Entertainment announced today it has signed license agreements with Freeze, a division of Central Mills Inc., and ABG Accessories for its new hit TV series Almost Naked Animals™. The series, produced by 9 Story Entertainment, launched on Cartoon Network in June of this year and is stripped daily at 4:00 p.m. EST, again Thursdays at 6:30 p.m. and Sundays at Noon. The license agreements were procured through The Licensing Shop Inc. which manages the licensing business for 9 Story. Based on the quirky designs of popular books’ illustrator, Noah Z. Jones, Almost Naked Animals™ is a fast-paced animated comedy featuring a lovable bunch of hospitality-challenged, underwear-clad animals, who run a beachfront resort hotel called the Banana Cabana- home to fun loving mayhem. Freeze has secured rights for t-shirts, fashion tops and hoodies in all sizes while ABG has secured the rights for cold weather accessories, Spring & Summer cut and sewn headwear, and rainwear including umbrellas and slickers. Both agreements are for the US market only. August 11, 2011 – Sinking Ship Entertainment announced today the launch of the official Dino Dan website - dinodan.com - in the US market, based on the popular Nick Jr. and TVOntario series. Dino Dan follows the adventures of paleontologist-in-training Dan Henderson and his friends, as he uncovers clues about the past and secrets of the dinosaurs. The show combines live action with amazing CGI dinosaurs. Sinking Ship also announced that it has launched an official Dino Dan Facebook page. Simultaneously, Sinking Ship, through its distribution partnership with Breakthrough Entertainment, announced a license agreement with Musictoday to launch the officail Dino Dan webstore at www.dinodan.shop.musictoday.com. April 28, 2011 – Canadians can get ready for a fashion event like no other as CBS Consumer Products launches America’s Next Top Model Live in Toronto May 4-6, 2012. National Event Management, producer of some of North America’s biggest and best-attended shows, has been tapped to bring this quintessential fashion and shopping gala to Canada as CBS Consumer Products continues to expand the “Next Top Model Live” franchise around the world. The event follows in the footsteps of the Britain’s Next Top Model Live event that premiered in London last year. Based on the hugely successful international reality TV show, America’s Next Top Model Live is designed to bring the style and glamour of America’s Next Top Model to life for dedicated followers of current trends in fashion and beauty. Over three days, fans will experience a supermodel existence by getting free makeovers, being given a chance to strut their stuff on the Open Catwalk, shopping for the latest brands, watching incredible fashion shows, getting beauty advice from industry experts and finding out how to break into the modelling industry. MYRTLE BEACH, SC Feb. 7, 2011 – Dino Dan, a childrens' show about the adventures of a 10-year-old dinosaur enthusiast and his friends, made a huge splash in 2010 when it debuted on Nick Jr. Now, fans of the show will be able to get their hands on the kind of products Dino Dan himself would go crazy over. 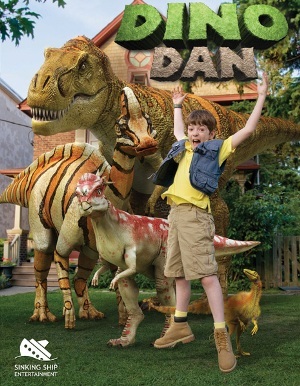 Wild Creations is pleased to announce it will be bringing Dino Dan toys to the US market in the fall of 2011. The Dino Dan licensed products will include excavation kits, prehistoric playsets, fossil replica kits, action figures and even Dino Dan outdoor adventure gear. Produced by Sinking Ship Entertainment, each episode of Dino Dan takes viewers on a journey with Dino Dan and his friends as they encounter incredible computer-generated dinosaurs and learn about dinosaurs, their surroundings, and the importance of the scientific method. EDISON, NJ, Dec. 6, 2010 – Fitness and nutrition specialist, best-selling author and acclaimed celebrity trainer Harley Pasternak, and Majesco Entertainment Company (NASDAQ: COOL), an innovative provider of video games for the mass market, today announced a strategic partnership to develop and produce interactive electronic games based on Pasternak’s 5-Factor Fitness program. Designed to generate results in just five weeks, the successful 5-Factor Fitness program is based on five-ingredient meals, five times a day, coupled with Harley’s signature fitness program of five-minute sets. Under the terms of the partnership, Majesco receives the exclusive worldwide rights to publish games based on Harley’s program. AURORA, Ill. (June 7, 2010) – Feld Motor Sports Inc., producer of Monster Jam®, the world’s largest and most popular monster truck property, is expanding its international licensed consumer products business by signing two new agents in Canada and Latin America. The Licensing Shop, based in Toronto, Canada, has been appointed to represent the merchandising and licensing program for Monster Jam in Canada. Monster Jam has a strong Canadian tour scheduled for 2011, when nearly a quarter of a million fans will attend Monster Jam live events at some of the country’s premium stadiums and arenas in Toronto, Edmonton, Calgary, Winnipeg, Halifax, and more. In addition, Monster Jam airs year-round in Canada on SPEED TV. Feld Motor Sports Names TLS Agency for Monster Jam. NEWS: VULCAN, ALBERTA FORMALLY RECOGNIZED AS "OFFICIAL STAR TREK CAPITAL OF CANADA"
VULCAN, ALBERTA, CANADA - March 10, 2010 - Residents of the town of Vulcan, Alberta, are perking their pointy ears to mark a new milestone in their quirky sci-fi history: formal status as the “Official Star Trek Capital of Canada”. In early 2010, Vulcan and CBS Consumer Products finalized the terms of a licensing agreement making the small prairie town the first officially recognized Star Trek destination in Canada, and granting it the right to create a unique line of collectible Star Trek/Vulcan souvenir merchandise that will only be available at Vulcan County businesses. The licensing agreement was put together by CBS Consumer Product's Canadian representative The Licensing Shop Inc. of Toronto. Special events are planned throughout spring 2010 to help celebrate the galactic occasion. Festivities will include: •	a special visit from actor Leonard Nimoy, the original Vulcan Mr. Spock on April 23, courtesy of the Calgary Comic and Entertainment Expo; •	unveiling a bronze bust of Mr. Spock and Mr. Nimoy’s Live Long and Prosper handprint in downtown Vulcan; •	the launch of an inaugural line of Star Trek collectible souvenir merchandise in the Vulcan Tourism & Trek Station gift shop; •	and a guest appearance by actor Tim Russ (Star Trek Voyager’s Tuvok) at the Spock Days/Galaxyfest community-wide Star Trek convention June 11 and 12. Vulcan Alberta formally recognized as Official Star Trek of Canada. TORONTO - Waste Reduction Week provides an exellent opportunity to encourage waste reduction wihin our organizations and communities. The Waste Reduction Week National Executive Committee aims to educate, engage and empower us all to reduce our waste. The theme of Waste Reduction Week, 'Too Good to Waste', is meant to draw attention to the richness and diversity of the natural world and the importance of working towards ecological sustainability through waste avoidance and resource conservation. 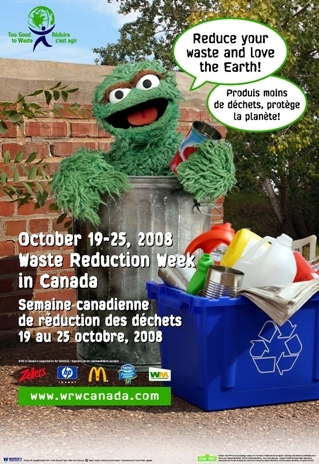 Waste Reduction Week's highly successful 2008 campaign featuring Oscar the Grouch as the program's spokes-Muppet, garnered over 65 million media impressions and was the winner of a Canadian Public Relations Society (Toronto) ACE award. WRW took the Gold Award for Brand Development. The Canadian Marketing Association recently announced that Waste Reduction Week 2008 has won a Canadian Marketing Association Award in the Public Relations - Not-for-Profit/Fundraising/Public Service category. TORONTO - September 30, 2009 - Today, Waste Reduction Week in Canada announced Sesame Street's beloved Oscar the Grouch will return for his second year as the program's spokes-Muppet - but this time, he's not alone. This year, many of Oscar's Sesame Street friends are also helping to celebrate Waste Reduction Week. However, in the midst of this announcement, a number of unsubstantiated reports began surfacing, claiming that Oscar has actually gone missing from Sesame Street. Oscar's Sesame Street neighbours believe he is secretly roaming the Great White North to learn why Canadians are so concerned about trash and reducing waste. "Sesame Workshop will neither confirm nor deny Oscar's current whereabouts or position on waste reduction, but he WAS recently seen wearing a hat made from a discarded banana peel," said Risa Greenbaum, Assistant Vice President, International Licensing, Sesame Workshop, the nonprofit organization behind Sesame Street. Over the past few days, videos have surfaced claiming that Canadians have seen Oscar in different locations across the country. Although no one has been able to speak with Oscar to find out exactly what he is doing in Canada, it appears he has been leaving clues leading many to believe he is on a mission to learn more about waste reduction. 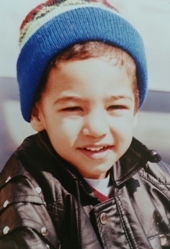 Adoring Canadians have started a grassroots viral campaign called OscWatch (www.wrwcanada.com/oscwatch) to help raise awareness of Oscar's whereabouts and expand the search. Videos posted on the website depict Canadians who claim they have seen Oscar to help establish a trail leading to his location. "Oscar and I became great friends during Waste Reduction Week last year and I really need him here to help us with this year's celebration," said a concerned Jo-Anne St. Godard, Chair of Waste Reduction Week and Executive Director of the Recycling Council of Ontario. "We are doing everything we can to locate Oscar before Waste Reduction Week. And when we are done, Oscar will realize what he should already know, that he has always been a Green Muppet." McDonald's Canada, Nestlé Pure Life, Hewlett-Packard, Loblaw Companies Limited and Staples are lending support to the effort by signing on as official national sponsors of Waste Reduction Week 2009. Waste Reduction Week Spokes-Muppet Oscar the Grouch Missing. 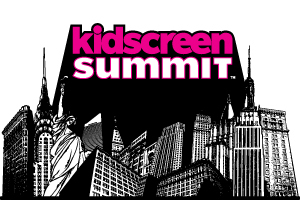 Kidscreen - the leading international trade publication serving the informational needs and interests of kids entertainment professionals - announced today the "KidScreen's Best of the Year Awards" nominees for the five Best Licensing Agencies in the world. Among the nominees is The Licensing Shop. 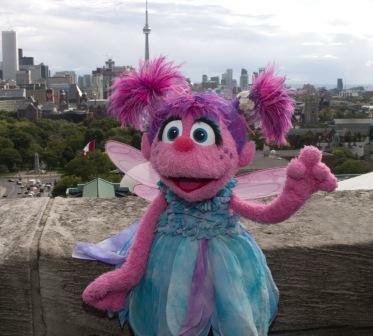 As the maple leaves begin to change colour this fall, young children will be tickled pink as Abby Cadabby spreads her wings over Toronto and flies into their hearts and homes. Fresh off the heels…or wings…of appearing in every episode of the award-winning Sesame Street, currently airing on Treehouse Saturdays at 9 a.m. ET, 3-year-old Abby Cadabby will appear “in-the-fur”, October 2nd – 4th, making special appearances throughout Toronto to meet her newest Canadian friends. Sesame Street's Newest Muppet, Abby Cadabby Flies into Canada. TORONTO - September 18, 2008 - Today, Sesame Street’s beloved Oscar the Grouch was announced as the new spokes-Muppet for Waste Reduction Week (WRW). The grumpy, garbage-loving Sesame Street Muppet has teamed up with the WRW Program to promote its ‘waste-free’ goals and appeal to children and adults alike. Oscar is known for his grouchy quips and love of all things garbage and he will use his unique charm to help encourage families to participate in WRW through two television public service announcements, promotional posters and a public relations campaign. The public service announcements will debut nationally in September and will offer easy ways to reduce, reuse and recycle. Waste Reduction Week Gets Greener and Meaner. 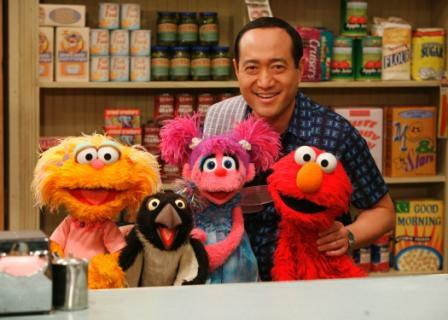 NEWS: SESAME STREET TO DEBUT ON TREEHOUSE THIS FALL, AS BROADCASTER RENEWS FOR 5 YEARS! (New York, NY, and Toronto, CANADA September 3, 2008) The top movie was Fargo; the top song was Celine Dion’s Because You Loved Me; and top children’s television show Sesame Street was airing throughout Canada. The year was 1996 and all, of course, have gone on to become classics. Twelve years later, Sesame Street returns to Canada to a whole new generation of viewers. Renewing its slate of Sesame programming for five more years, Treehouse will debut the award-winning program Sesame Street in its regular timeslot on Saturday, September 6 at 9 a.m. ET. The broadcaster will continue to air new seasons of Play With Me Sesame, Global Grover, and Elmo’s World daily. Sesame Street branded programs are available on Treehouse Premium SVOD. Sesame Street Debuts on Treehouse. New York, August 25, 2008 - CBS Consumer Products, a division of CBS Entertainment, announced today the launch of a global licensing program for 90210, the highly anticipated contemporary spin-off of BEVERLY HILLS, 90210. 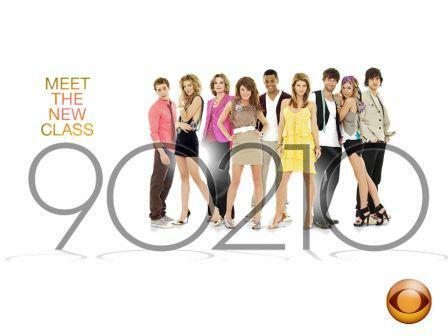 The new 90210 premieres September 2, 2008 (8pm ET/PT) on The CW in the U.S. and on Global TV in Canada. Starting with apparel, cosmetics, fragrances, bags and school supplies, the merchandising program will feature iconography from the new series along with retro designs from the original BEVERLY HILLS, 90210. CBS Ushers in Return of 90210 with Global Merchandising Campaign.